Linus Torvalds is the father of Linux and as such, he has a unique perspective on gadgets and devices like the Google Nexus 7. So what does Torvalds think of the ASUS built table? He calls it "solid" and his impression of the tablet is "so far, very positive." Linus had posted the comments on his Google+ page and starts off by agreeing with the decision by ASUS not to include a rear-facing camera saying that at the price point that the tablet is offered at, any rear-facing camera would be "nasty". Besides, as he points out, those who use tablets to take pictures look like "a complete dork". When it comes to Android, Torvalds favors the stock look and doesn't like the various OEM skins comparing them to "pee in the snow" adding that they make Android "look and act terribly" just for the sake of the manufacturers aiming to differentiate themselves from each other. So this is why he likes the stock Android on the Google Nexus 7. Besides being smoother (thanks to Android 4.1's Project Butter) he likes what has been kept on Jelly Bean like app folder shortcuts and resizable widgets. So what size tablet screen does Torvalds favor? He thinks 10 inches is too big and that while 8.9 inches is better, something between 7 inches and 8.9 inches is best. He adds that the alleged 7.85 inch size of the display on the rumored mini-Apple iPad sounds good, too. 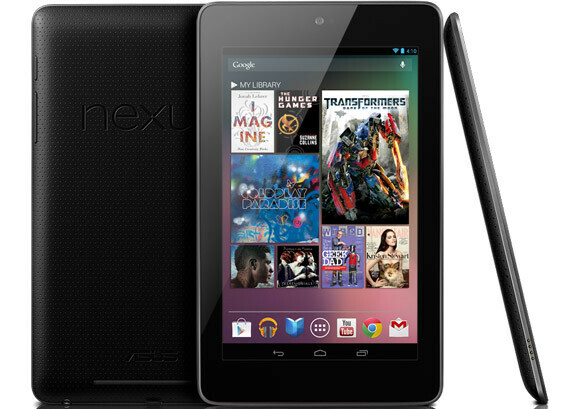 He states that if you don't like tablets or Android, the Google Nexus 7 won't change your mind. But if you're on the borderline, Torvalds believes that the quality of the Google Nexus 7, despite its low price, is enough to win you over. rear facing cameras on tablets is just moronic. there is no need for them at all. you can actually find pictures online of people taking self shots with tablets. it makes me LOL. Skanks making duck face, usually. there is a new facebook game called duck hunt. here are the rules. 1. find random girl in your friends list. 2. look through said girls pictures. 3. find stupid looking duck face. 4. comment by saying bang! 5. winning! Actually, because the girls that do the duck face have such high opinions of themselves, they'll think you're being a pervert. Lol. touche', but its still fun. its called duck hunt. and guns dont go quack. they go bang! EclipseGSX. we still need to race. I like to have options like having a camera. I don't use it often, but it's still a good feature to have. I also sync all my photos to Google+, so I can have all my pics together. It actually comes in handy when there is one. It's the same concept as cell phones. Convenience. I've used it quite frequently and it's honestly not that bad. No it's choice, isn't that what googles about? I just wish they'd give an option in the settings whether to use stock or not. That'd complete Android. Interesting comments about the custom UI's... Back in 2010, Sense UI was the smoothest Android experience on the market. The custom UI's have features... useful features.....that stock Android didnt have and might still not have. The new version of Blur on GB held its own against stock ICS for speed, smoothness. Stock Android has taken elements from Sense UI, Blur, Touchwiz, dont know about any other UI. So the custom UI's cant be too bad. That`s right, the best OEM innovations inevitably find their way onto stock Android....at which point users drool (usually after first dissing the respective skins). Exactly...lol. Hey I can resize widgets!! Hey I have the Android market as a static icon in the app drawer!! Hey I can do mores stuff from the lock screen!!! All on custom UI's before stock Android. And accessing the pull down shade from the lock screen.....had to use apps from the market before ICS. The custom UI's really dont get enough credit. Exactly.....a custom UI used hardware acceleration in areas of the UI. Android really didnt start doing that til Honeycomb? Or ICS? "those who use tablets to take pictures look like "a complete dork"." Finally somebody said it. I still don't understand how people can even think to point tablet to make a picture? Linus Torvalds doesn`t need to take a pic with a tablet to look like a complete dork. There I said it. A rear facing camera is handy, if only to provide app compatibility. Even a cheapo 3 MP snapper would do the trick. My my look whose cranky. I was commenting on his looks (which is something HE started), not his contributions to technology. Ok....and whats your opinion worth..... An opinion is an opinion. Thats all. If thats the case....everyone in this article needs to come back when they have done more for the tech industry. I also dont fully agree with Tovalds opinions in the article. True, him calling someone a dork is like Romney calling someone a hypocrite. He is the godfather of Linux, the man who made the dork's choice in operating systems happen. Also dissing the OEMs is counteractive to his philosophies with Linux, which was to make an open source platform that can be manipulated by hobbyists and organizations alike for their purposes. Which is what the OEMs are doing in the case of android. And android itself is an example of this as its based on Linux. "Also dissing the OEMs is counteractive to his philosophies with Linux, which was to make an open source platform that can be manipulated by hobbyists and organizations alike for their purposes. Which is what the OEMs are doing in the case of android." See....this is what makes me scratch my head at Tovalds comments. And since there are stock Android devices out there....ppl have a choice of what they want. Stock or custom UI. Sorry....but Torvalds sounds like a stock Android fanboy. Its his opinion....he's welcome to it....but he does. He makes it like custom UI's have no pros, all cons and offer nothing vs stock Android.